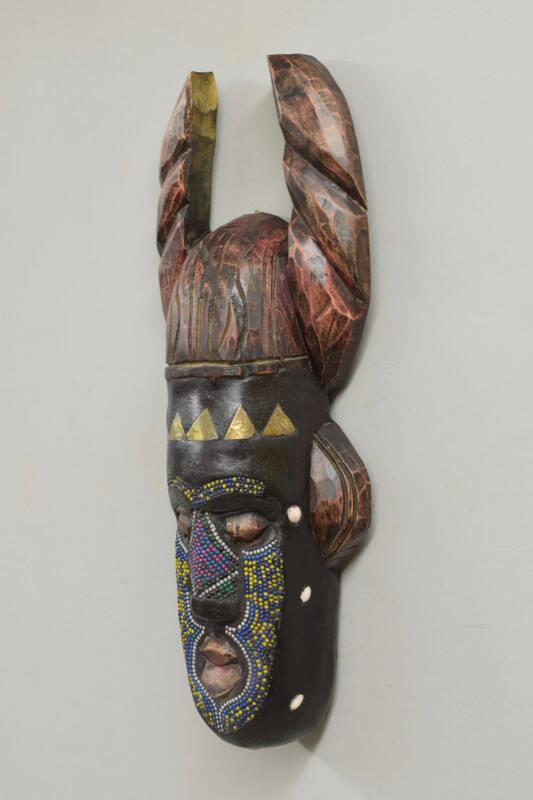 This is a Beautiful Vintage Ashanti Carved Wood Horned Mask Decorated with Recycled Glass Beads around the Face and Brass on the Forehead. This mask Symbolizes strength and this carving revels in the power of authentic and ancestral design. 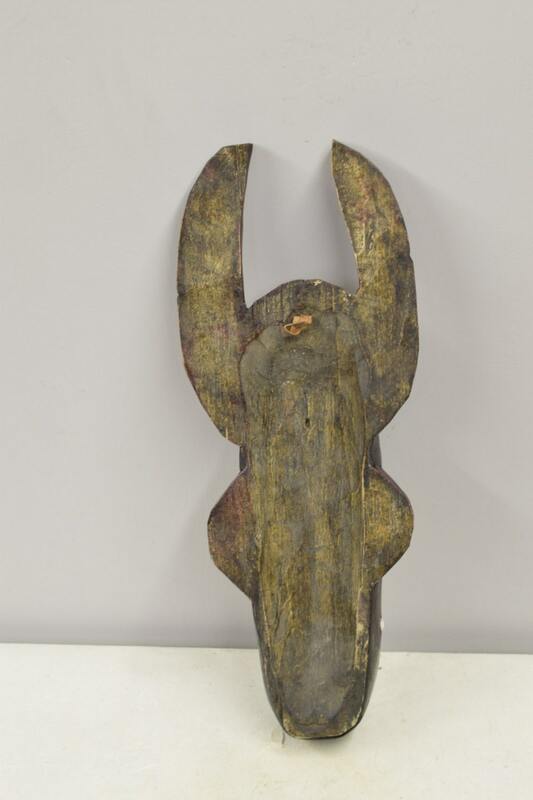 Known as a horn mask, the piece presents the face of an Ashanti king, his powerful expression elongated by vertical protrusions and using embossed brass plates to exalt the royal aspect. While the masks are beautiful, there is more history to them then meets the eye! 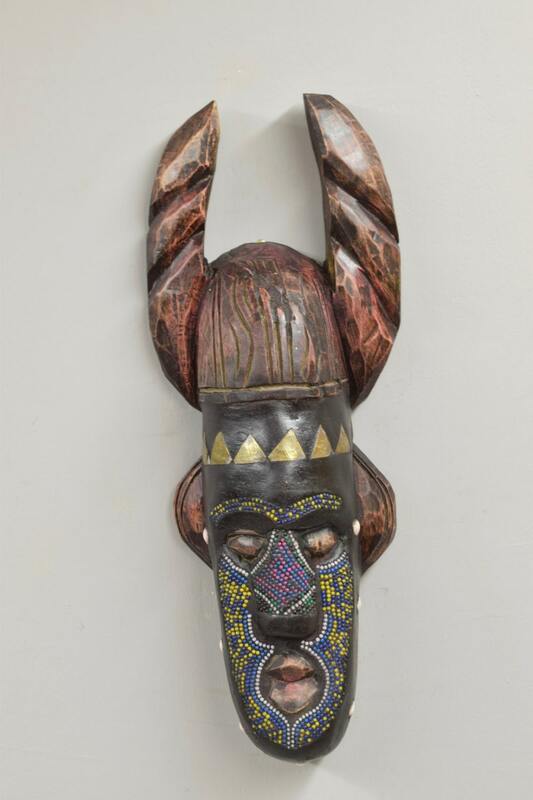 African masks like these are often part of a ceremonial costume and are used in religious and social events to represent the spirits of ancestors. 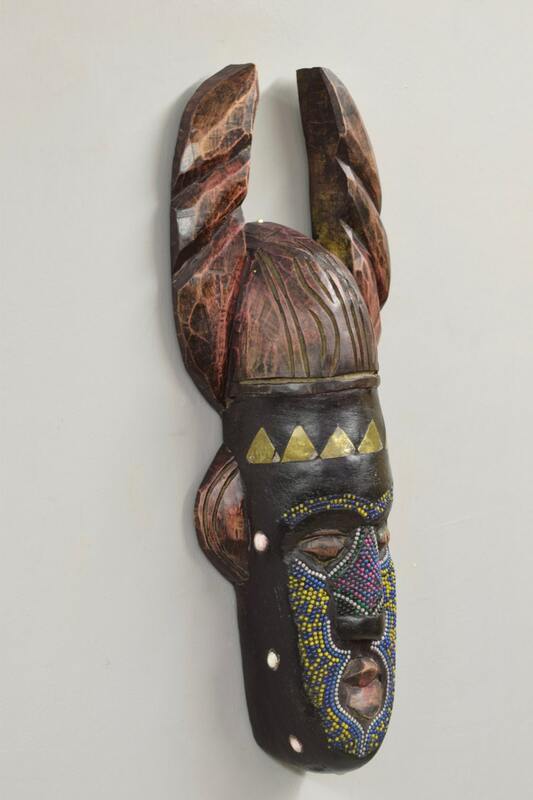 This mask is believed to bridge the gap between the spiritual realm and the physical realm, bringing the spirits of the ancestors and other entities to life through their usage. They are used in events such as initiation ceremonies and masquerade performances. The masks are brought to life through dance and the atmosphere of the occasion. Many times, the wearer of the mask would also wear an elaborate costume to conceal their identity and add to the mysticism of the mask. This mask belongs to the Akan tribe in Ghana. This would be a lovely mask to decorate your home or to add to your collection.